My financial planning career gives me an opportunity to provide a quality service people can trust to guide them through making life’s important financial decisions. Before starting in the industry some 30 years ago, I’d seen people I cared about taken in by confidence tricks and ripped off. It struck me that quality advice from someone who truly cared was necessary to ensure people could maintain their dignity and financial freedom, especially in retirement. I started in the business in 1984. At the time it was quite unusual for a financial planner to have qualifications. Today it is unusual for one to have such a wealth of experience. In the three decades I’ve worked in the industry I’ve seen four financial crises, come to advise more than three generations of some families and had two children of my own. The industry landscape has changed significantly, becoming more professional (thankfully qualifications are now required) as well as more prominent in the public eye. I enjoy finding innovative solutions to client problems, I care deeply about it and spend a lot of time, some might say too much, tailoring personal advice so my clients can get through life with fewer worries about money. It’s a very complex field, with a lot of interactions between things like taxation and social security, and of course every client has unique circumstances. I enjoy thinking and planning and bringing ideas together and it gives me a great sense of satisfaction when I see my work bringing financial freedom and peace of mind to others. 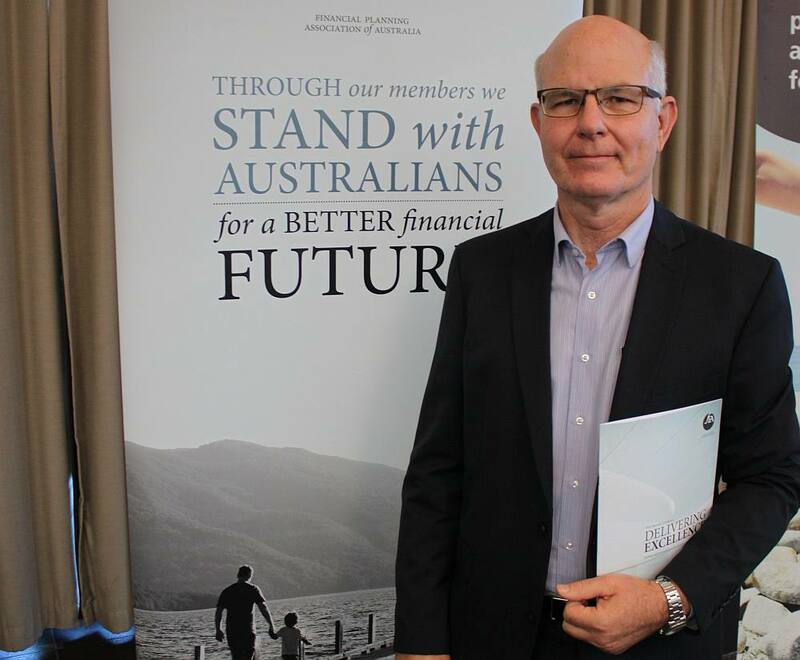 I’m also passionate about the investments themselves, about how investing in quality Australian companies, helping them do well can contribute to the well-being of the wider community through innovation and job-creation and also help my clients with their financial goals. I love being able to recommend whatever investments I feel are in the client’s interest, without having to satisfy any corporate quota or answer to any senior manager. Today this is quite unusual. Fewer than 10% of financial planning practices are in private hands like ours is. I’m particularly proud of times when I’ve been there for clients in times of difficulty and have been able to help them negotiate what is often a very daunting field. And it is very fulfilling to have been able to use my skills pro-bono to help organisations and individuals. I greatly value the trust my clients place in me and strive to do my level best to look after them and get them the best possible outcome without fear or favour. I had superannuation in the sum of about two twenty two thousand when I retired in 1988. That sum of money increased quite rapidly over the next few years under James’ administration. I never had any reason to doubt his honesty or trustworthiness in the time I’ve known him over very many years. He’s been a hard worker and an achiever in the industry which hasn’t been an easy road over the years, working the difficult conditions of a developing financial planning industry and I’ve been very satisfied with his approach. He’s always readily available to offer advice on all aspects of the financial world. I first met James when he was a financial advisor working at HBS somewhere between 1986-1988 and he has been my advisor ever since. He has always been most thoughtful, conscientious and obliging and always had my best interests at heart. He would argue with his bosses if he didn’t think they were doing the right thing by his clients and he would usually win. He is always honest and courteous and he has done very well for me financially. I have always been very appreciative of what he has done for me over the years as he always been most obliging. I have never thought of going elsewhere and I have introduced other members of my family to him and they are using him to their advantage.